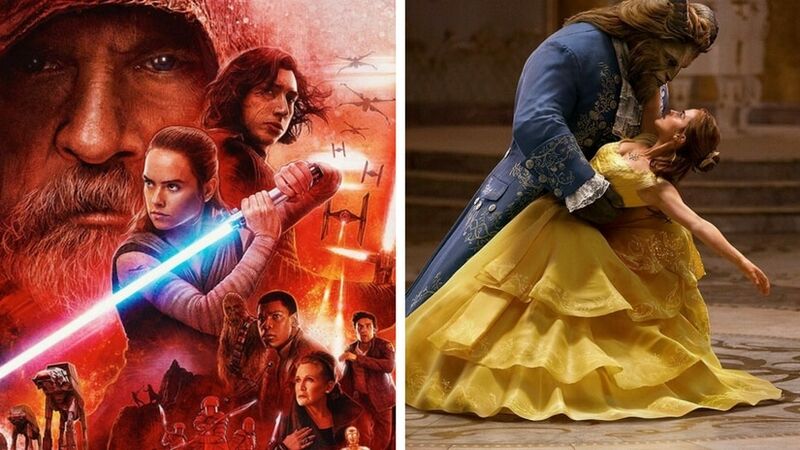 Los Angeles: On the last day of the calendar year, Star Wars: The Last Jedi has surpassed Beauty and the Beast as the top grossing film in North America in 2017. It also topped the charts for the weekend for the third time, but just barely — Dwayne Johnson’s Jumanji: Welcome to the Jungle is close on its tail. 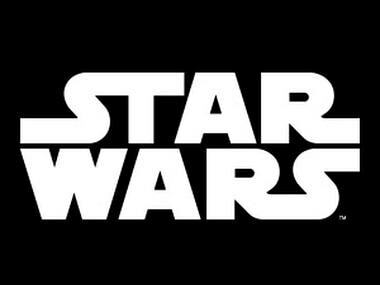 According to studio estimates on 31 December, The Last Jedi will add $52.4 million over the weekend bringing its domestic total to $517.1 million. Beauty and the Beast, also a Disney release, netted out with $504 million for the year. With the weekend’s earnings, The Last Jedi will also cross the $1 billion mark globally — even before it opens in China on 5 January. 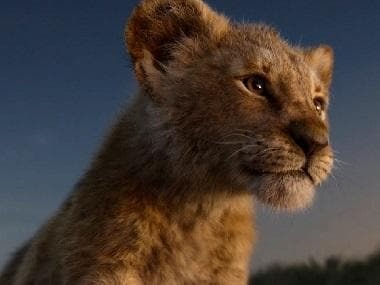 But Star Wars is facing some hefty competition still, from the likes of The Rock, Jack Black and Kevin Hart, whose Jumanji sequel took in $50.6 million in its second weekend in theaters to take second place. The Columbia Pictures film has earned a stunning $169.8 million to date and could even reach $300 million domestically by the end of its run. The acapella franchise Pitch Perfect 3 took third place in weekend two, with $17.8 million, bringing its total to $64.3 million — still less than what Pitch Perfect 2 earned on its opening weekend alone in May 2015 ($69.2 million). Another musical, The Greatest Showman, with Hugh Jackman as PT Barnum, came in fourth place with $15.3 million after adding 310 screens. The animated kids film Ferdinand took fifth with $11.7 million. In its first weekend in theaters after debuting on Christmas Day, Ridley Scott’s All the Money in the World took in $5.5 million, bringing its total to $12.6 million. The film got some added recognition when Scott replaced Kevin Spacey with Christopher Plummer and reshot portions of the film only 6 weeks before it was set to hit theaters. But the hype of the impressive feat hasn’t translated into big earnings. Another adult-targeted film, Alexander Payne’s Downsizing, is struggling in theaters, taking in $4.6 million in its second weekend in theaters. The Matt Damon-starrer has earned only $17.1 million to date against a $68 million production budget. In limited release, Aaron Sorkin’s Molly’s Game, starring Jessica Chastain, earned $2.33 million. The film about the “poker princess” Molly Bloom expands on Jan. 5. And Paul Thomas Anderson’s Phantom Thread earned $220,000 from four theaters over the weekend after its Christmas opening. Starring Daniel Day-Lewis as a designer, Phantom Thread has grossed $531,000 to date. The year as a whole will surpass $11 billion again, with comScore projecting $11.12 billion, which is down 2.3 percent from last year’s record-breaking grosses ($11.4 billion), and almost on par with 2015′s $11.14 billion. Estimated ticket sales for Friday through Sunday at US and Canadian theaters, according to comScore. Where available, the latest international numbers for Friday through Sunday are also included. Final domestic figures will be released on 2 January. 1. Star Wars: The Last Jedi, $52.4 million ($68 million international). 2. Jumanji: Welcome to the Jungle, $50.6 million ($67 million international). 3. Pitch Perfect 3, $17.8 million ($13.1 million international). 4. The Greatest Showman, $15.3 million ($28.5 million international). 5. Ferdinand, $11.7 million ($23.1 million international). 6. Coco, $6.6 million ($21.4 million international). 7. All the Money in the World, $5.5 million ($1.4 million international). 8. Darkest Hour, $5.3 million. 9. Downsizing, $4.6 million ($1.4 million international). 10. Father Figures, $3.7 million. 1. Star Wars: The Last Jedi, $68 million. 2. Jumanji: Welcome to the Jungle, $67 million. 3. Ex-File 3 (Quan Ren 3), $41.1 million. 4. Goldbuster (Yao Ling Ling), $38.4 million. 6. Hanson and the Beast, $25.5 million. 10. Along with the Gods: The Two Worlds, $20.1 million.